Poker is often described as the game of life. And life the ultimate poker game. Little did folks know just how true that is! Poker is exactly what we played throughout evolutionary history, and our emotions evolved for playing it. Emotional expressions just are bets. ...of reputation, or cool. In poker, two players discuss whose cards are stronger, and they discuss via bets. In life, our ancestors discussed who's right about some disagreement, and they discussed via emotions. ...which are bets. Not of money, but of cool. No longer just a throwaway metaphor, evolutionary neurobiologist Dr. Mark Changizi and mathematician Dr. Tim Barber take us on a journey from poker to our suite of emotional expressions, what they mean, how they relate to cool, and the betting of cool. ...so as to become even cooler. 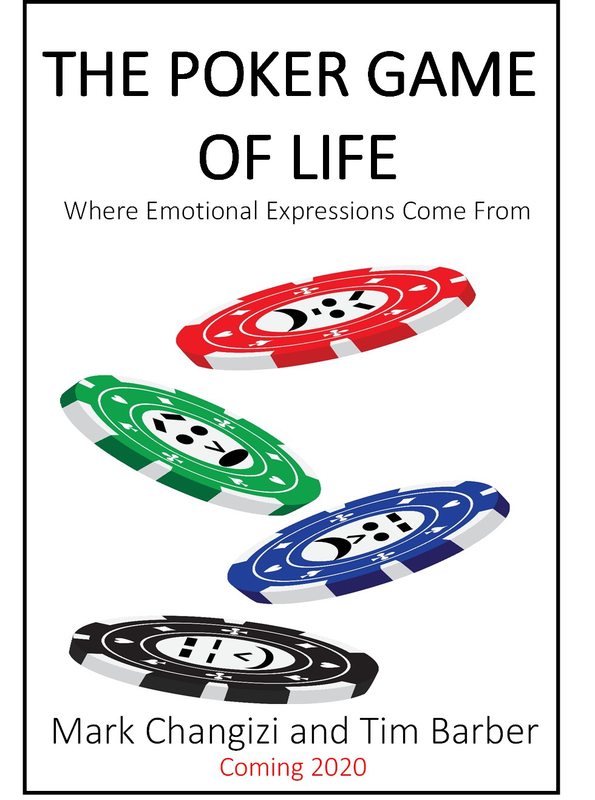 Happy to announce that the next book is on its way, this one a collaboration with my brilliant 2ai colleague Tim Barber: THE POKER GAME OF LIFE: Where Emotional Expressions Come From.